Digadoc® is a sole purpose safety trailer for mini-excavators. The rise and increased awareness of accidents and ‘near misses’ within the industry was what cemented the feeling that conventional trailers were no longer sufficient. And so in 2010, having sensed the demand for safer alternatives for the transportation of mini- excavators the first prototype of our Digadoc mounting system was developed. Since then we have continually strived to improve on our initial success by developing three further generations, with the end result being the new 2014 model. To check out the fantastic Digadoc in action head over to our video page. 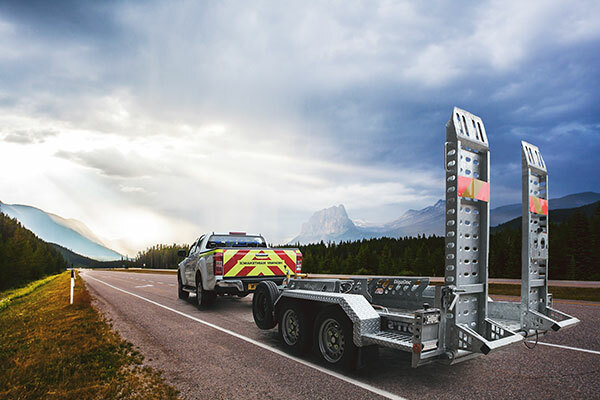 Find out what makes Digadoc trailers stand out from the rest for simplicity, safety and security. 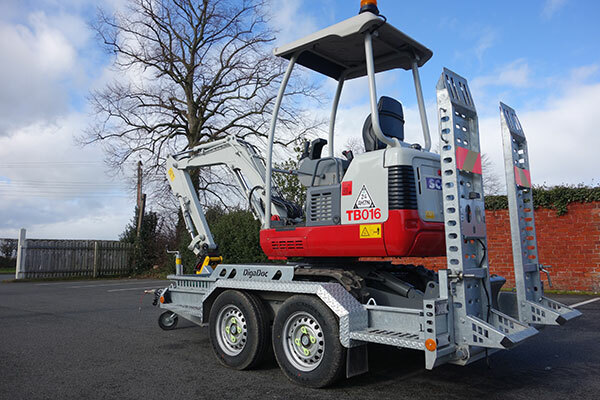 Our mission here at Digadoc is to continually improve the safety aspect of trailers, specifically for the transportation of mini-excavators. With over a hundred Digadoc trailers in use in the ‘Scott’s Hire Limited’ fleet we have had great feedback of their ease of operation from end users and the relief it gives knowing the risk of an accident is greatly diminished. “What the Digadoc trailer does is minimise the risk involved by limiting operator loading errors. 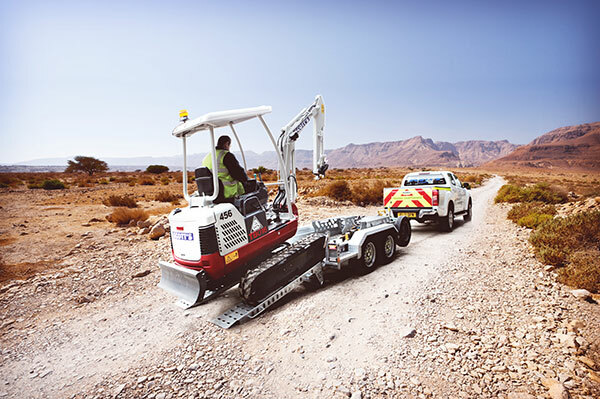 Mini diggers are automatically placed in the correct position ensuring no overloading of the towing hitch and axels. “The number of serious near misses caused by trailers coming adrift from the van is very concerning. It is something that is rarely recorded as a High Potential Incident and the the very lesson to learn is missed. “Digadoc provides a simplistic solution to a problem that has plagued the utilities industry for years. Want to see the Digadoc up close? Request a demonstration via the contact page and we will bring the Digadoc to show you its unique design at a place and time which suits you. Wales & West Utilities take delivery of Digadoc equipped trailers. Digadoc: One size fits all!